Santens discusses basic income’s impact on income inequality by analyzing its effect on Gini coefficients. He concludes that a basic income directly reduces income inequality and can help push the U.S.’s Gini coefficient closer to those of the Nordic countries. 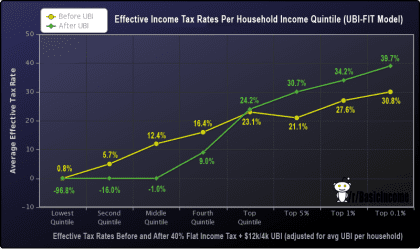 Scott Santens, “Does Guaranteeing a Basic Income Reduce Income Inequality?”, 1 December 2014.